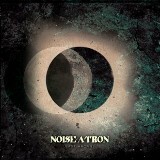 Hailing from Seattle, husband-and-wife project Noise-A-Tron have a new EP out picking up right where their self-titled one left off -- literally, as all the tracks on Vast Arcane except the intro are sequentially numbered rather than given names (I presume the track list on the first EP was One through Five). This one is going to appeal to anyone who enjoys drone or noise, but the tracks are fairly easy to listen to and metalheads aren't likely to be repulsed by it either -- unless they hate synth. And there is definitely that, because there are no guitars at all -- just drum, bass, and synth. Over the top of Jason Bledsoe's thick, blunt drumming style, Lea Bledsoe plays bass interspersed with keyboard work. There's almost a 70s doom-rock vibe in Six's steady riffs, right up until the song gets driven by an archaic-sounding synthesizer that reminded me of something Ladytron, one of the few electronic bands that I enjoy, would have done. Six Point Five is short but faster and not as dark, but Seven retreats back into droning distortion patterns and sullen-sounding bass fugues that give it a darker feeling, occasionally breaking into quiet synth bridges. Though the last couple of tracks are long, the Bledsoes generally refuse to bore the listener to death by subjecting him to double-digit minutes of listening to a single wail of feedback, unlike some drone bands I could mention. Eight, their longest track, does contain plenty of noise and feedback-squealing, and it is quite slow and minimalistic in a lot of places, but they put a good measure of change in so you're not listening to the same thing for more than about 30-60 seconds. Vast Arcane ends with grim, singleminded purpose -- bass riffs, underneath some digital patch that sounds a lot like a Hammond organ, fall as flat and hard as tombstones on endlessly crashing cymbals, giving a bleak sense of finality to the end of the album. Did I mention the vocals? No? Well, that's because there aren't any. I'm kind of curious now about how Noise-A-Tron would sound if it possessed a voice, but minus vocals it has plenty of charm on its own. If one's not a steady listener to noise rock, at the very least this makes quite good background music.